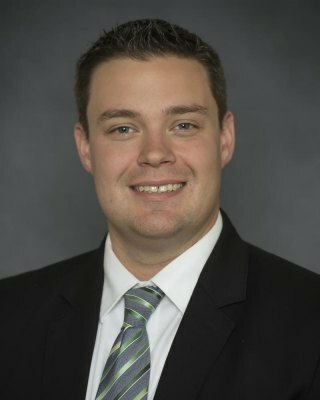 HUNTINGTON, W.Va. – Dr. Zach Garrett of the Marshall University College of Health Professions has been named to the Mid-Atlantic Athletic Trainers’ Association (MAATA) Critical Incident Stress Management Committee. Garrett, program clinical coordinator for the college’s athletic training program, is one of two representatives chosen from the state of West Virginia. The mission of this committee is to help athletic trainers and athletic training students better utilize the resources available to them when a critical incident occurs, whether it be from a patient-related event or a traumatic event that’s happened in their personal lives, according to Garrett. In addition to this new role, Garrett currently serves as the West Virginia Athletic Trainers’ Association (WVATA) president-elect and on the National Athletic Trainers’ Association (NATA) Committee on Professional Ethics. To learn more about the Marshall University athletic training program, visitwww.marshall.edu/athletic-training.